The main challenge for a mutual fund company in India is attracting a wider audience, especially among the younger demographic. Investments are often considered too complicated for a layperson to understand, with little to no short-term gains. But while the benefits of investments remain a vague concept, individuals are all-too familiar with the pain of having their salaries reduced because of taxes. TATA Mutual Fund has woven these twin concerns to raise awareness of the tax-saving benefits of investing in an ELSS scheme. To capitalise on the growing potential of video and market their product in a completely innovative way, TATA Mutual Fund collaborated with Social Beat, a leading digital marketing solutions company. Social Beat conceptualised a video campaign that would break through the clutter and stand out in the competitive mutual funds space in India. Comprising of four short videos based around a common theme, the video campaign highlighted the importance of investing in an ELSS tax-saving scheme. Cometh March and the heebie-jeebies flare up like rashes. One dreads to look at the pay-slip as the fear of 'katauti' gets amplified. 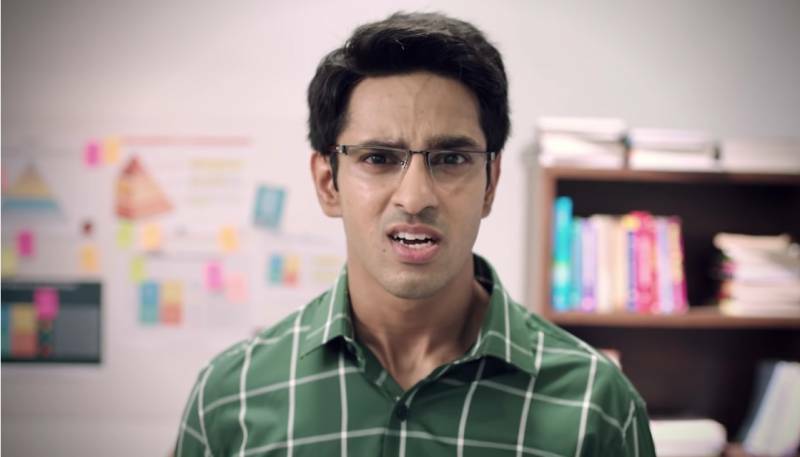 Tata Mutual Fund's latest campaign on ELSS captures this feeling of being short-changed. A series of 4 ads have protagonists across demographics including a working woman, a management trainee, a sportsman and an executive relaxing in his home. TATA Mutual Funds looked to Social Beat to highlight this common grouse by presenting their ELSS scheme in a completely different way. Speaking about the objective behind their campaign, Mr. Suneil Chawla, Co-Founder of Social Beat, said, "We wanted to make the ELSS scheme more relatable for audiences. The one factor that our entire audience has in common is that no one likes their income being reduced because of tax. We distilled this idea into the central concept for our campaign: 'How people feel when they don't get what they deserve'. This idea gave us plenty of room to play around with and communicate the benefits of an ELSS scheme in a creative way." Conceptualising and creating the campaign Building on this concept, the team at Social Beat created four videos based around common storylines that most people can relate to. They used everyday scenarios that everyone, no matter what their age or gender, can identify with, for instance, shopping for groceries and ordering a pizza. The frustration that the characters feel when they get one less slice of pizza than what they expected or when the vendor gives them less vegetables than what they asked for, is similar to what many of us go through when our salaries are reduced because of tax. This idea was distilled into the catchy hashtag #NoToKatauti." The videos are currently being promoted on YouTube and Facebook. With an incredible 225 million and 240 million Indians respectively on these platforms, they are certain to attract a large viewership. "Content is the crucial differentiator when there is product parity. Technology helps make an incisive reach to the correct set of audiences. We chose to take up video on digital because of its growth as a primary form of content consumption. Initial reaction to our films have been that of "Hey! This is exactly how I feel when my March payslip has a 'skimmed' salaryfor the month!" The Distributor Community too have lapped up the commercial and shared positive feedback. With over a million impressions and counting, this is easily amongst our most successful online campaigns," says M.V.S. Murthy, Head – Marketing & Digital, Tata Mutual Fund. For a BFSI company looking to create brand awareness and improving customer retention, videos have clearly become one of the most effective strategies to employ.